These terms and conditions, as may be amended from time to time, apply to all our services directly or indirectly (through the Austrian guides) made available online, through any mobile device, by email or by telephone. By accessing, browsing and using our website or any of our applications through whatever platform (hereafter collectively referred to as the "website") and/or by completing a reservation, you acknowledge and agree to have read, understood and agreed to the terms and conditions set out below, including the privacy statement. These pages, the content and infrastructure of these pages, and the online accommodation reservation service provided on these pages and through the website (www.thesigmundfreudtourvienna.com) are owned, operated and provided by Nunberger Ltd. and are provided for your personal, non-commercial use only, subject to the terms and conditions set out below. 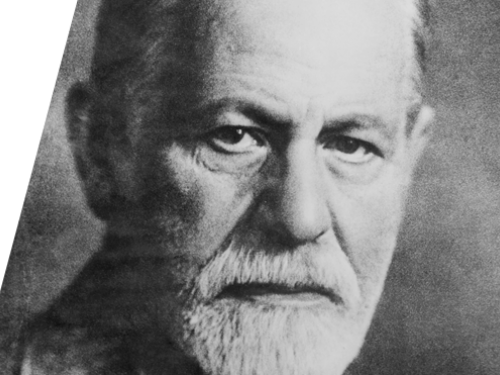 Through the website we provide an online platform through which any visitor to the website can make a reservation for a guided Tour in Vienna regarding Sigmund Freud. From the point at which you make your reservation, we act solely as an intermediary between you and the Austrian Guide, transmitting the details of your reservation to the relevant Austrian Guide and sending you a confirmation email for and on behalf of the Austrian Guide. We do guarantee that all information on the website is accurate, and correct. We cannot we be held responsible for any errors actually committed by a guide. 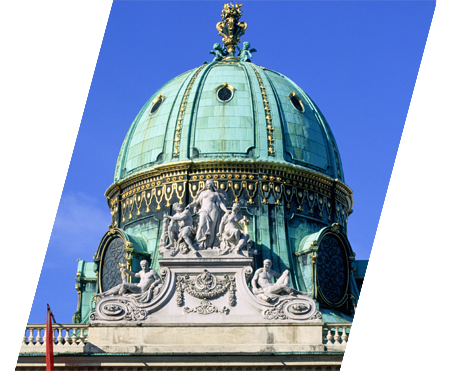 Each Austrian guide remains responsible at all times for the accuracy, completeness and correctness of the (descriptive) information given during an actual TOUR. Our services are copyright protected and made available for personal and non-commercial use only. Therefore, you are not allowed to re-sell, deep-link, use, copy, monitor (e.g. spider, scrape), display, download or reproduce any content or information, software, products or services available on our website for any commercial or competitive activity or purpose. All prices on the website are including VAT and all other taxes (subject to change of such taxes), unless stated differently on our website or the confirmation email. Nunberger Ltd respects your privacy. Please have a look at our privacy and cookies for further information. By completing a booking, you agree to receive (i) an email which we may send you shortly prior the starting hour and day of the TOUR and the place of meeting with the Austrian Guide (ii) an email which we may send to you promptly after the TOUR inviting you to complete our review form. Please see our privacy and cookies policy for more information about how we may contact you. However and to the extent permitted by law, neither we nor any of our officers, directors, employees, representatives, subsidiaries, affiliated companies, distributors, affiliate (distribution) partners, licensees, agents or others involved in creating, sponsoring, promoting, or otherwise making available the site and its contents shall be liable for (i) any punitive, special, indirect or consequential loss or damages, any loss of production, loss of profit, loss of revenue, loss of contract, loss of or damage to goodwill or reputation, loss of claim, (ii) any inaccuracy relating to the (descriptive) information (including rates, availability and ratings) of the accommodation as made available on our website, (iii) the services rendered or the products offered by the Austrian Guide or other business partners, (iv) any (direct, indirect, consequential or punitive) damages, losses or costs suffered, incurred or paid by you, pursuant to, arising out of or in connection with the use, inability to use or delay of our website, or (v) any (personal) injury, death, property damage, or other (direct, indirect, special, consequential or punitive) damages, losses or costs suffered, incurred or paid by you, whether due to (legal) acts, errors, breaches, (gross) negligence, willful misconduct, omissions, non-performance, misrepresentations, tort or strict liability by or (wholly or partly) attributable to the Austrian Guide or any of our other business partners (including any of their employees, directors, officers, agents, representatives or affiliated companies) whose products or service are (directly or indirectly) made available, offered or promoted on or through the website, including any (partial) cancellation, overbooking, strike, force majeure or any other event beyond our control. Nunberger Ltd is not liable or responsible for the remittance, collection, withholding or payment of the relevant taxes due on the room price to the relevant tax authorities. Unless stated otherwise, the software required for our services or available at or used by our website and the intellectual property rights (including the copyrights) of the contents and information of and material on our website are owned by Nunberger Ltd its suppliers or providers. Nunberger Ltd exclusively retains ownership of all rights, title, pictures, and interest in and to (all intellectual property rights of) (the look and feel (including infrastructure) of) the website on which the service is made available and you are not entitled to copy, scrape, (hyper-/deep)link to, publish, promote, market, integrate, utilize, combine or otherwise use the content (including any translations thereof and the guest reviews) or our brand without our express written permission. To the extent that you would (wholly or partly) use or combine our (translated) content or would otherwise own any intellectual property rights in the website or any (translated) content or guest reviews, you hereby assign, transfer and set over all such intellectual property rights to Nunberger Ltd. Any unlawful use or any of the aforementioned actions or behaviour will constitute a material infringement of our intellectual property rights (including copyright and database right).